Do you eat meat? Whether you do or not, you’ve probably noticed that meat production and consumption is a pretty weighty topic. Strong viewpoints abound on all sides of questions about the morality of eating meat; the importance of specific production practices from animal welfare, environmental impact and human health perspectives; and the cost of meat and its accessibility to people across income levels. Most of the food available in the United States comes out of an industrial food system, typified by vast, land-depleting monocrops, livestock raised in unconscionable conditions and low-paying and hazardous working conditions on farms and in factories and slaughterhouses. These problems are especially true of meat production. At CISA, we’re working towards an alternative vision of a resilient and equitable local food system, and that includes conscientious local meat production. 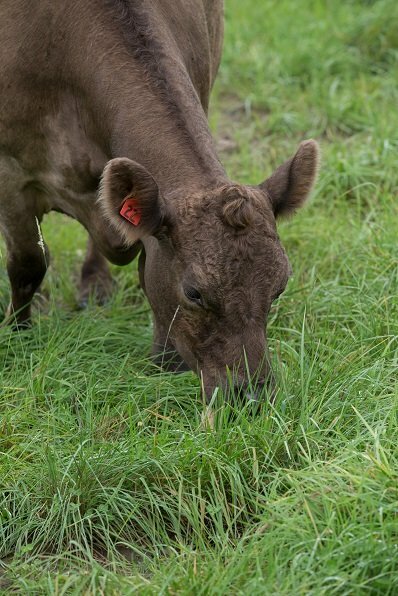 Meat production is an important piece of the economic puzzle for many local farmers: According to the Agricultural Census, 40% of farms in Massachusetts have livestock, and meat, dairy and eggs account for 22 percent of the market value of agricultural products in the state. That equals over $109 million per year in the Massachusetts economy. Tyler Sage of Sage Farm is moving his pork operation to newly purchased land in Bernardston, which he describes as “a pretty typical old hilltown dairy farm: 130 acres, with 30 acres of open fields.” Pigs require more varied diets than ruminants like sheep or cows, and they can’t survive only on grass, which makes them excellent foragers and well-suited to forested landscapes. On his new land, Sage is working to develop silvopastures, which combine forested land, a perennial understory and foraging pigs in an integrated and mutually beneficial system. Sivopasture has immediate benefits for soil health and animal well-being, and sequesters significant amounts of carbon — in fact, on the Drawdown list of strategies to reverse climate change, it’s ranked in the top 10 for potential impact. Locally raised meat often can’t compete on price with meat that comes out of the industrial food system. The methods commonly used to raise meat in the U.S. — crowded conditions; lack of access to the outdoors; consolidation, which turns the resource of manure into a pollutant; and slaughter and packinghouses, which endanger the health of workers — were chosen because they are cheap. We don’t pay the full costs of meat production at the grocery store; instead, they are borne by workers, by farm animals, and by our air, soil and water. At the same time, hunger remains a pressing issue in our region and the nation, and we know that higher prices make local meat inaccessible to many people in our community. Untangling the knot at the center of this challenge requires multiple approaches, some focused on how we produce food and others on how we distribute wealth. On a daily basis, those of us who have some wiggle room in our budgets and meal plans can prioritize buying meat from local farmers who are working to raise livestock in humane, environmentally conscious ways. Inspired to support local meat producers? Local meat producers are now accepting orders for Thanksgiving turkeys, holiday roasts and a lot more, and it really benefits them to know they have your support. Look for local meat for your warming winter stews, ask for it at your favorite grocery store and restaurant and support butchers that source their meat locally. CISA’s online guide has all the info you need. Claire Morenon is the communications manager at Community Involved in Sustaining Agriculture (CISA) in South Deerfield.